We get it, Cuba is popular. You all want to go there. Interest in travel to the Caribbean island is at an all-time high, and everyone wants to visit “before the Americans do”. So as a result, the world is travelling to this beautiful island trapped in a kind of 1950’s time warp. But, how do you ACTUALLY get there? I mean visa wise, I need a Cuba Visa – right? At the time of writing, all tourists to Cuba need what is called a “Cuban Tourist Card”. It’s available (most of the time) at various airports in Latin America, and if you have the patience, you may be able to obtain one at a Cuban embassy overseas. The latter option does take time – it needs a lot of documentation and can be a pain in the backside. With regards to the airport option, on a recent visit to Lima airport and Mexico City airport (both gateways to Cuba), the airlines were “all out” of Cuban Tourist Cards. Quite literally leaving you at the gate with nowhere to go! Imagine packing your best Cuban hat, having some rums in the bar the night before leaving and getting into the Cuban groove, only to find out that you have to rebook for another time because the airline taking you to Cuba doesn’t have your entry ticket! Frustrating, and pretty darn rude! The people I ran into at the airport weren’t exactly thrilled, and I couldn’t really blame them. It will allow you to stay in Cuba for 30 days and it is extendable for another 30 days. However, in the case of Canadian citizens only (lucky Canadians! ), it is valid for 90 days and extendable in country for a further 90 days. Important to know: When getting a Cuba visa, always check that it is stamped on the reverse by the tour operator that issued the tourist card for you. If it hasn’t been stamped you will have to wait in line at Cuban Immigration, and it can take a while for a new one to be issued. You will also have to pay for it locally. The reverse side of the tourist card does say: ‘It is invalid without stamp of issuing entity’. Airlines may refuse boarding as well and you could end up like my friends I mentioned earlier! The current Cuba visa was introduced in February 2009 and it is far simpler than the old card to fill in. It asks very few questions of the tourist. The card should be fill7ed in with a black pen only and the answers written in capital letters. Any mistakes mean the card is invalid and you will require a new one. First of all, the card should be stamped on the reverse by the issuing airline / tour operator, or whoever supplied you with the card. Cuba Visa: Cuban Tourist Card. Please note the answers to questions 1-5 should be the same on both sides of the form, as per our picture. When you go to the immigration booth upon arrival in Cuba, the Immigration Officer will (hopefully) stamp both halves of the card, then keep one and hand the other half back to you. Keep this! You must hand in this other half when you clear Cuban Immigration when you depart. If you do make an error, the best plan is make the correction as neatly as possible, present it on arrival, apologise profusely, and see what happens. Most likely it will be accepted. If the error is serious enough, or the entry official is over-zealous and you do have to buy a new one, the cost is approximately 20 to 25 Cuban convertible currency (CUC)…or just save the hassle and let Chimu arrange it for you! Get there: Lucky for you, the good folks at Chimu Adventures do – quite legitimately – have a small supply of Cuban Tourist Cards right here in our offices. 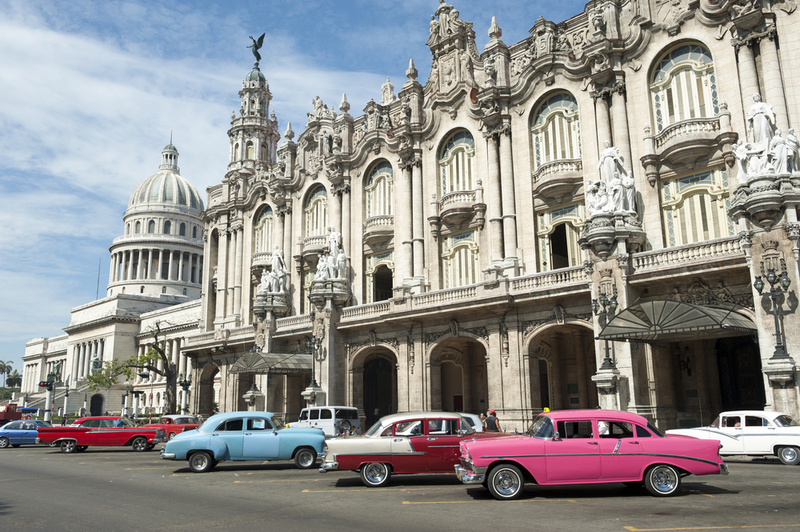 We can even issue them for you on the spot when booking a trip to Cuba, giving you peace of mind that your visa is arranged prior to leaving home.